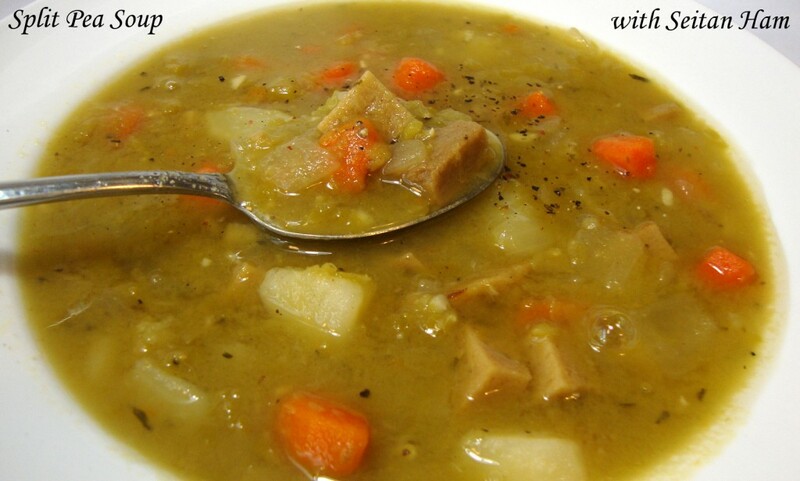 Tender split peas, onions, carrots and potatoes merge together to create this classic soup. The optional plant-based “ham” or “bacon” adds a wonderful smoky flavor. This recipe yields about 6 servings. 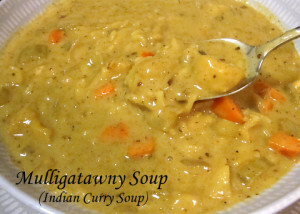 *see the recipe in my Holiday Mini-Cookbook available through TheGentleChef.com website. **See the recipe in my Gentle Chef Cookbook also available through TheGentleChef.com website. Add the olive oil to a large cooking pot and place over medium heat. Add the onions and carrots and sauté until the onions are translucent. Add the garlic and sauté an additional minute. Add the stock, potatoes, split peas, thyme and black pepper. Bring to a boil and then reduce heat to a gentle simmer. Cover the pot and cook for 1 hour and 30 minutes. Stir occasionally to prevent the solids from scorching and sticking to the bottom of the pot. While the soup is cooking, mist a small skillet with cooking oil spray and lightly brown the “ham”. If using “bacon”, fry in a bit more oil until lightly crisp and then drain on a paper towel. Add the “ham” or “bacon” the last 15 minutes of cooking time. Season the soup with salt as needed and additional pepper as desired before serving.